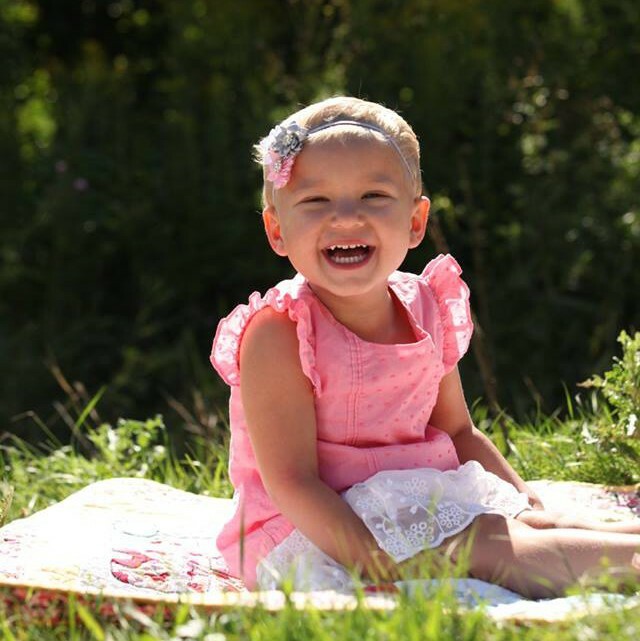 On August 8, our sweet little princess, Scarlett Eloise, was diagnosed with acute lymphoblastic leukemia. We have put a lot of thought into the best way to keep family and friends updated on her fight and her progress and agreed that this would be the easiest and most efficient way. For the last 5 weeks she had been complaining off and on of pain in her hip. She was diagnosed with a greenstick fracture and we hoped that would be the end of it. However, she never got completely better and this week the pain spread to her shoulder. This concerned us greatly so on Thursday morning we took her to her pediatrician. She had lab work drawn and was referred to a rheumatologist. But at 6:30 Thursday night, I received the call that no parent wants to hear. Multiple doctors were waiting for her in the emergency department at Children’s Hospital in Milwaukee. We rushed her down there and at 3am, we were admitted to the pediatric oncology unit. Within 12 hours our lives had completely changed. I think that that is the moment when everything became real. An oncology unit is unique to me and her name was the board waiting for her. We were no longer short term visitors. Saturday morning we got a definitive diagnosis of ALL. Already yesterday she began treatment. She had a CT scan which showed a leukemia mass in her chest, she had multiple “surgeries” to have a PICC line placed, a bone marrow biopsy, a lumbar puncture, and her first dose of chemo injected right into her spinal fluid. She tolerated all the procedures well with just some minor crabbiness (but who wouldn’t have been after all that). Today we begin chemo with 3 different medications. We truly appreciate all of the help and support. There will never be enough thank yous to go around. Tate and Evangeline are confused and scared. They don’t know where mama, daddy and Carlett are. If you see them, please try to play with them and take their minds off of it. Keep all five of us in your thoughts and prayers. We will try to update every day as much as possible. We have a long and scary road ahead but I know that we have the best family and friends in the world. We love you all so much! Our little Scarlett is the most wonderful baby. She is going to be a doctor when she grows up. She watches every procedure with the utmost curiosity. She is patient and kind (unless she’s waking up from sedation or getting her pulse ox placed). This morning when she woke up, she turned to me and covered me up, held my hand and gave me a big kiss. She melted my heart already today.